A small sample of his work, which is truly unusual. Let me apologetically restate the obvious  at that point in time I had no idea about wide-angle lenses (or photography, for that matter). 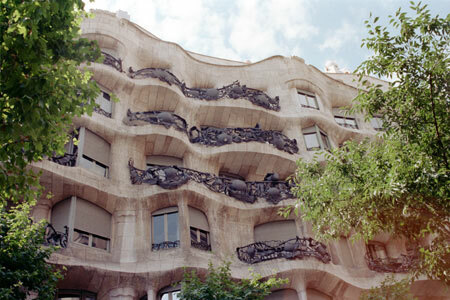 Then again, if this whets anyone's appetite, there are tons of books on Gaudí with excellent, professional photos. 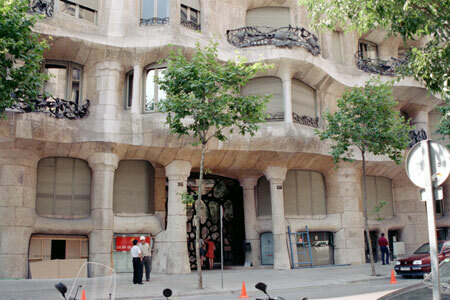 Side by side are three prime examples of modernist architecture. 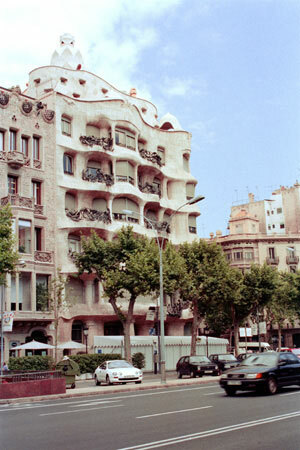 On the left, out of the picture, is Casa Lleó Morera by Domènech i Montaner (1905). 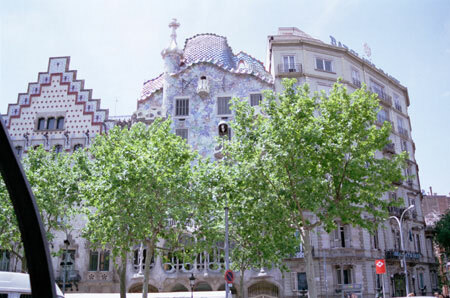 Left is Casa Amatller by Josep Puig i Cadafalch (1900). 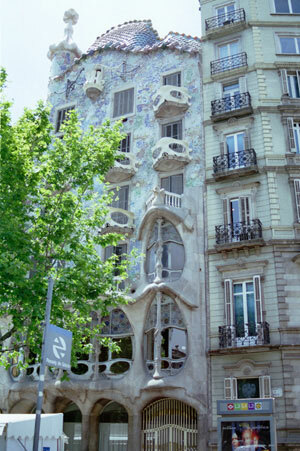 The center is Casa Battló by Gaudí. Bug-eye windows, mask like ornaments  fantastic. The sign on the lower right, by the way, advertises a Bruce Willis film. 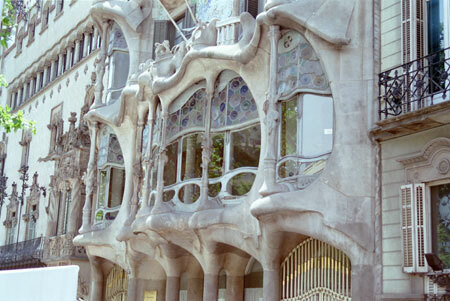 At the left is Casa Amatller.